The Famous Brandz Cheech & Chong Up in Smoke Clyde is a mini double chambered water bubbler for enjoying smooth, flavor-rich hits from your favorite dry herb strains. Crafted from 100% borosilicate glass of a very high quality, the Famous Brandz Clyde water pipe delivers moisture-conditioned hits from a compact unit that’s easier to handle than larger water pipes. The double chamber of the Famous Brandz Clyde dry herb pipe lengthens the air path to give smoke ample time to cool off as it travels to your mouth. 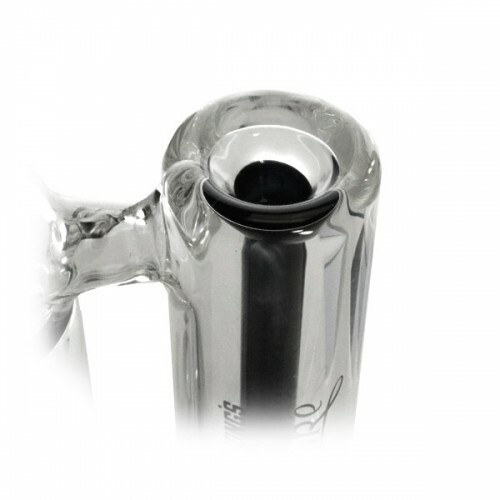 Enjoy double the water filtration and moisture of the average dry herb water pipe. The Cheech and Chong’s Up in Smoke Clyde water pipe lives up to its name, producing deliciously moisturized smoke that the famous duo would totally dig, man. The Famous Brandz Clyde water pipe offers double the moisture conditioning with dual water chambers. Pressure from each inhalation pulls smoke through two water filters, cleansing each hit of irritants while adding moisture. Any harshness is removed by the time the hit reaches your palate. The winding design guides smoke down an extended air path, giving it more time to cool as it travels to its final destination. The double chamber is beautifully crafted, providing an ergonomic grip to the Famous Brandz Clyde that is rare among glass water pipes. Designed for true connoisseurs who want a more portable way to enjoy the natural flavors and aromas of dry herb without the harshness, the Famous Brandz Clyde Double Bubbler puts smooth, tasty rips in the palm of your hand. Crafted from high grade borosilicate glass, the Clyde water pipe is sturdy, reliable, and artful in its design. The glass is the most thermal resistant in the world, capable of absorbing high heat without cracking or breaking. It will leave no unwanted tastes or flavors, and will stay clean and clear looking through the years with regular cleaning. The borosilicate design is also easy to wash. Just load the Clyde bubbler with a cleaning solution, allow it to soak, and wipe down to maintain its stunning look. 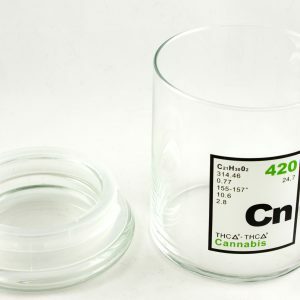 You can feel the quality in the 100% borosilicate glass when using the water pipe, adding a level of value to the experience. The Clyde bubbler accommodates dry herb enthusiasts and fans of “true vaporization,” delivering smooth hits that are true to the essential flavors of your favorite strains. The Famous Brandz Clyde bubbler is shaped for ease-of-use and efficient performance. The neck curves toward your lips so you don’t need to tip the Clyde to take a hit. 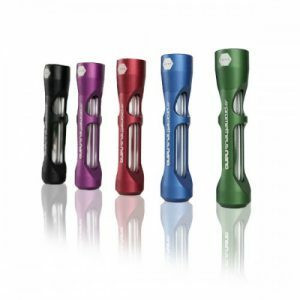 The bulb-like mouthpiece delivers full, satisfying rips. And the dual chambers double as handles for adequate gripping during use. The dual water chambers are designed specifically for extending the air path to produce cooler hits. A compact 6.25″ size makes the Clyde a travel-friendly companion for herb lovers with busy lifestyles. Simply empty out any water and herb and load into a carry case for easy transportation. The Clyde is also well-suited for seamless at-home use. 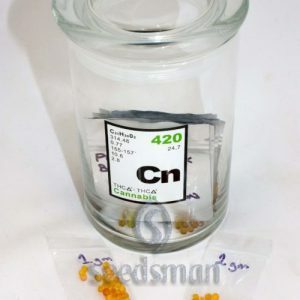 It’s easier to handle than a large bong, but still offers the same smooth, palatable draws. Dimensions: 6.5 x 2.25 x 7.5 in.